Police have named the man who died after jumping into a Cumbrian river. 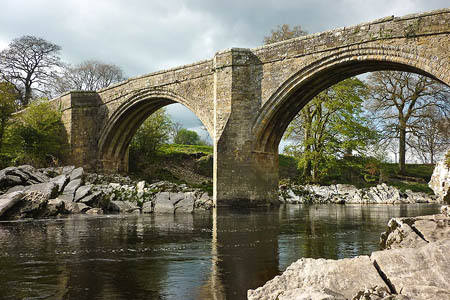 Darrell Teal, 22, of Urmston, Manchester, was with a group that leapt into the River Lune from Devil’s Bridge, Kirkby Lonsdale, on Saturday. Mr Teal failed to resurface and Kendal Mountain Rescue Team’s swiftwater rescue experts joined the search for the man over a two-mile stretch of the river. Police divers found the man’s body seven hours after he was reported to have jumped from the bridge.